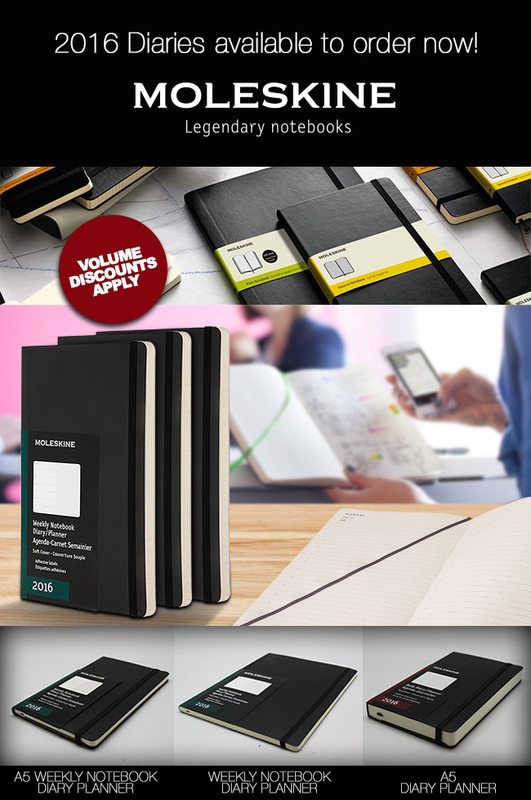 With 2016 just around the corner, our variety of Moleskine diaries will ensure you’re well equipped for a successful year ahead. We have just received stock of the prestigious Craig Martini Executive Time Management Diary, a complete work system and personal organiser. By pl.. The Satin A5 Diary makes a great year end gift and offers a variety of corporate branding options. Daily inspirational quotes wil.. The Satin A4 Diary makes a great year end gift and offers a variety of branding options. Daily inspirational quotes will keep your ..
Slimline diary made from koskin and finished with white stitching. Silk Screening (Default Method) ..